There have been tremendous advances in ACS treatment over the last 25 years. Despite these advances, however, it is clear that evidence is unevenly translated into clinical practice. In virtually all countries and practice settings where it has been measured, there are significant gaps between guideline recommendations and actual clinical care. In the United States, the Institute of Medicine has said there is a "quality chasm" in healthcare, and has strongly advocated the need to make healthcare delivery more effective, safe, equitable, timely, efficient, and patient-centered. To achieve these aims of higher quality of care, a critical first step is to measure how care is currently being delivered. Only in this way, can gaps in care delivery be identified and targeted quality improvement interventions be implemented. In this way, quality improvement itself becomes "evidence-based", and is more likely to lead to substantive improvements in patient outcomes. With this context, the Malaysian Acute Coronary Syndrome Registry continues to be a tremendous accomplishment. This is a world-leading effort demonstrating the importance of clinical registries as a facilitator of improving quality of care and patient outcomes. 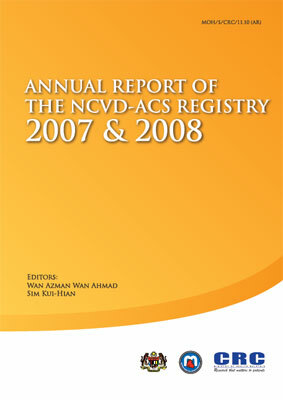 The data reported here should lead to targeted local and national quality improvement efforts for ACS care in Malaysia. The ongoing existence of the registry will allow tracking of the impact of these quality improvement efforts on processes of care and patient outcomes. If you do not measure it, you cannot manage it! The American College of Cardiology National Cardiovascular Data Registry (NCDR) currently includes an ACS registry as well as four other quality improvement registry programs in the United States. The mission of the NCDR is to improve the quality of cardiovascular patient care by providing information, knowledge and tools, implementing quality initiatives; and supporting research that improves patient care and outcomes. This is clearly a shared mission with the Malaysian Acute Coronary Syndrome Registry/NCVD. As such, I hope that we can work collaboratively to show the world how to optimally measure and improve the quality of care and outcomes of patients with cardiovascular disease. Kindly click on the link below to download the full report.